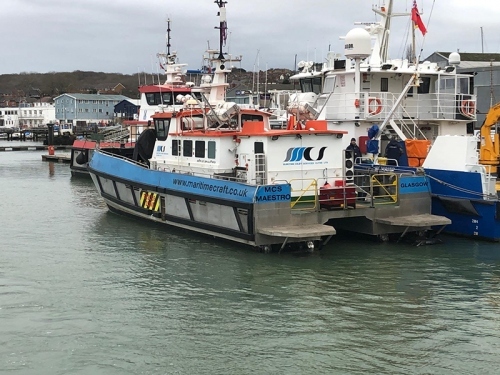 Turner Iceni have recently purchased two vessels - MCS Maestro and Don Quixote - both are now alongside at Diverse Marine in Cowes, ready for a full refit and return to operations in Turner Iceni livery for 2019. MCS Maestro, a 18m South Boat, was purchased from Maritime Craft Services. The vessel will be refitted with Volvo IPS 900, shot blasted and repainted in Turner Iceni livery. Interior modifications include a new galley and updated nav comms. Don Quixote, a 20m South Boat built in 2009, was purchased from Vroon. She will be re-engined with 1400hp MAN and Hamilton 651 jets which will have the new AVX control system and jet anchor. Don Quixote is also going to be lengthened to 23m and have 25,000 litres of fuel on board for refuelling operations. The interior is going to be fully refreshed with new galley and seating. Maestro will be completed by March 2019 with Don Quixote ready to be exhibited at Seawork 2019. Richard Thurlow, Director at Turner Iceni: "We are very excited to get these two projects underway, both vessels will be important additions to the Turner Iceni fleet for up and coming projects”. The work will be carried out by Diverse Marine in Cowes on the IOW. The management of Diverse Marine were involved in the development and build of both vessels and therefore have extensive knowledge to offer during the refit. In addition the Diverse Marine team assisted Turner Iceni in sourcing suitable craft and brokering the sale of the vessels. As a key supplier and stakeholder to the renewable industry, Turner Iceni feel it their duty and obligation to recycle and repurpose older assets to help reduce the company’s carbon footprint. 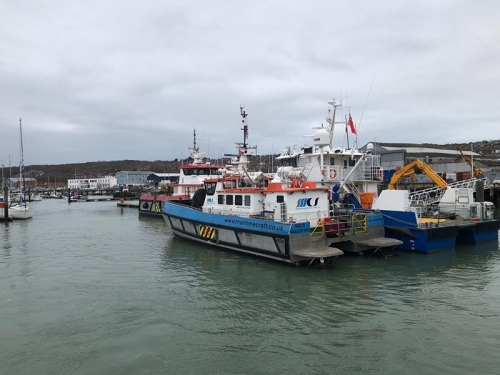 These craft have successfully served the offshore renewables industry for the last 10 years and Turner Iceni is excited to give these vessels another 10 years of service, meeting current regulations and operational requirements, without the capital expense and environmental concerns of a new build. Turner Iceni actively continue to research and implement ways of keeping the cost of renewable energy down and ensuring the company’s green credentials.